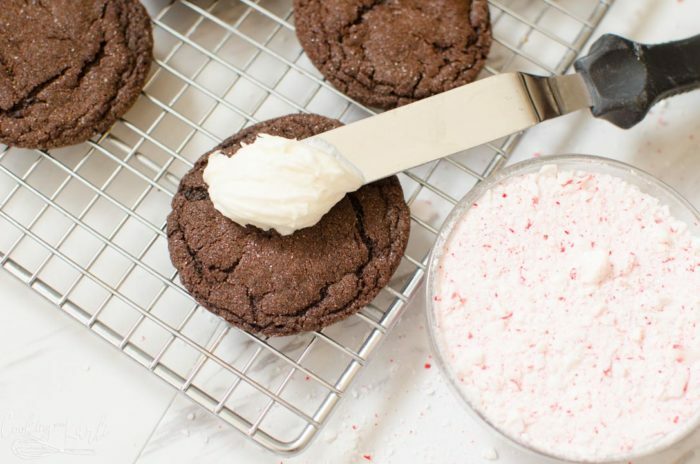 Chocolate Peppermint Cookies with Vanilla Buttercream is a soft, chewy chocolate cookie base with a creamy vanilla buttercream topped with crushed peppermint candies. Hey there! 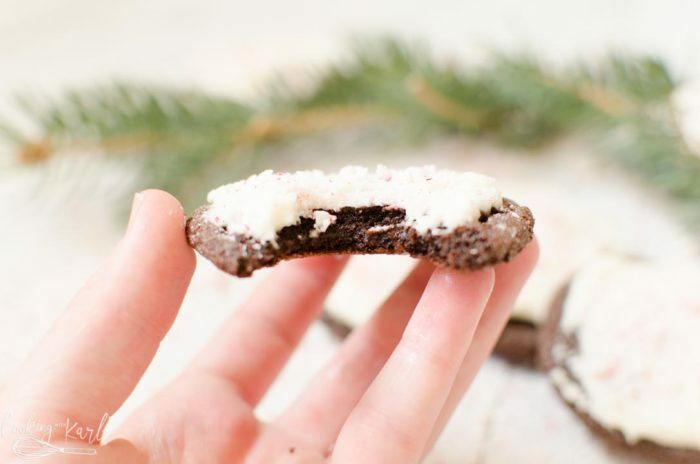 My name is Karli, I’m visiting from Cooking with Karli as part of Longbourn Farm’s holiday cookie exchange! 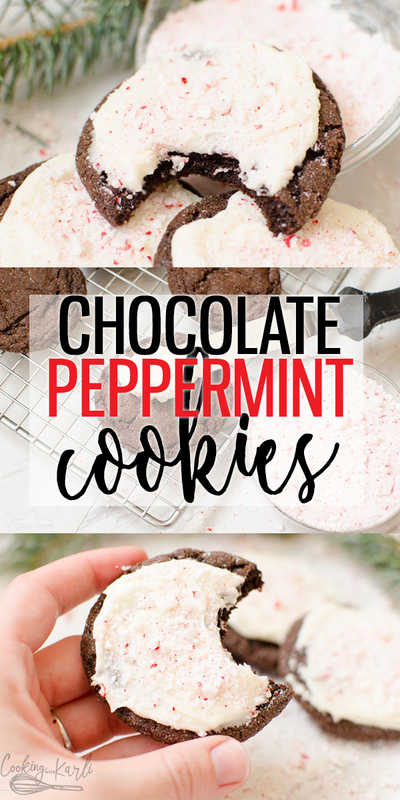 These Chocolate Peppermint Cookies are HANDS DOWN my favorite Christmas cookie of all time. 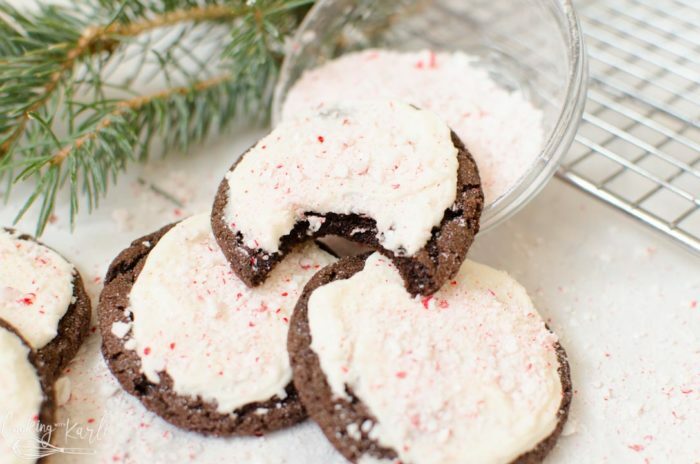 I’ve been making these cookies for years and they never disappoint. When I say years, I mean nearly TEN! (And that right there makes me feel old!) It all happened for the first time back in High School while working at Subway… More on that story over here though! 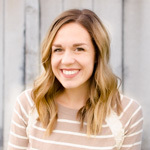 I hope when you visit my blog you can giggle and cry with me. I hope you feel like you’re sitting down with an old friend. I hope you can feel that you matter and are LOVED! Don’t be a stranger! Follow me on Facebook, Instagram and Pinterest!